First I would like to thank all of you who dropped by our booth at the 2011 BC Boat & Sportsman Show this past weekend. We had a great turn out all weekend. It was great to see all of you and for those of you who donated to our Ride to Conquer Cancer Fundraiser, thank you so much. We raised a total of $740 between our T-Shirt Sales and weekend draw for Vancouver Island fishing trip with Murphy Sportfishing. 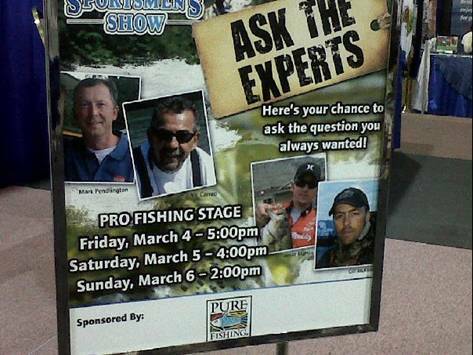 I also want to thank Mark Pendlington ( BC Sportfishing Show) for putting on a great show. This was the first time I have worked with Mark (Ask the Experts Panel) and it was a pleasure. We did three shows with great turn out and audience participation. Next stop Edmonton Boat & Sportsman Show March 17 to 20, please drop by our booth and say hello. 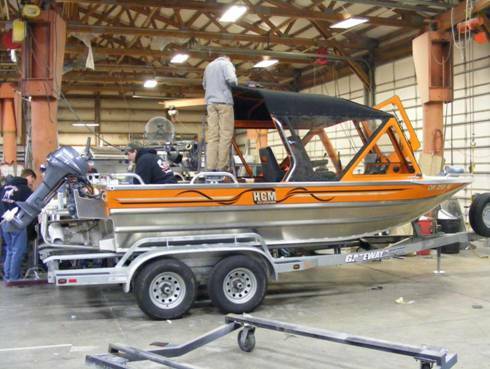 Also at the show this year for the first time is Hells Canyon Marine Jet Boats ( HCM) They will have 3 tricked out boats at the show including a 18ft rock hopper. Should be a Great Show. Water conditions are currently low and clear throughout the river, with expect rains later this week we could see some color and even a slight rise. This would not be a bad thing as we could use some color in the water. Our guides Thomas and Gerry are both reporting a decrease in angling success due to the clear water conditions although Gerry landed 3 last night and Thomas hooked 1 and lost it near the shore. If your heading out, best to fish early morning or late afternoon as fish seem to be more active in the low light. Just before dusk is your best time to be flogging your favorite water. 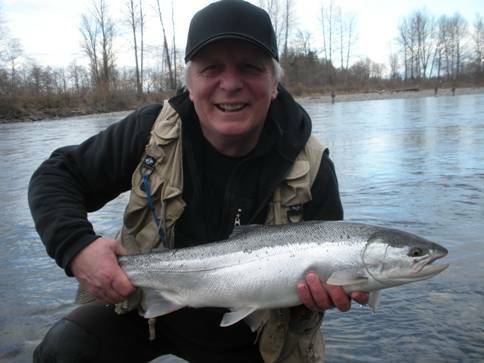 Local angler Wayne Williams with his first Steelhead in 6 years, after taking a guide trip with STS on the Vedder. Our Spring Sturgeon Fishery gets going on March 15, we will be on the water daily and will keep you posted on how fishing is and what we are hooking them on. We will have our boats back in the water moored at Mission so if your looking for a last minute trip, we can accommodate you. Our Spring Special is selling very well, $500 for 4 anglers fishing 6 hours, this a great deal as it is $60 less than our 2 person rate, this is a $180 discount off our regular rates for 4 anglers. 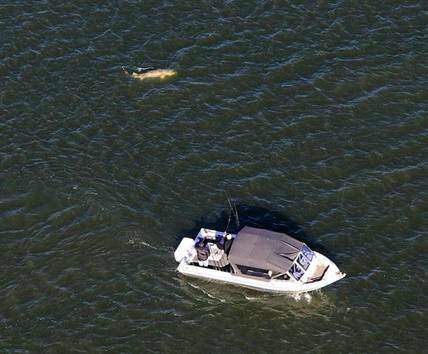 Take advantage now and book for your spring Sturgeon trip. Our Saltwater boat was on the water twice this past week, on both trips we hooked salmon but our last trip out we were into a hog that until the seal got hold of it. We estimate the fish to be in the 20 to 25 lb range but I guess the seal needed it more than we did. Same as last week. The usual spots along the West Van shoreline and among the freighters are still producing fish most days. Coyote spoons and glow variations of hootchies are all producing at depths ranging from 60 feet to the bottom. No real need for bait this time of year as these fish are not very selective. Lots of shakers are being hooked along with the odd keeper.